1909-11 T205 Gold Border & T206 White Border Collection (20). 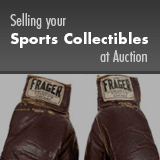 Offered is a collector grade selection of 20 early 20th Century tobacco cards. Includes: 1911 T205 Gold Border (1) - McIntyre; 1909-11 T206 White Border (19) - All are Piedmont or Sweet Caporal unless noted. w/Anderson, Baker "Polar Bear," M. Brown/Chicago, Burch/Fielding "Polar Bear," Downey, Groom, Hofman, Killian, Knight, Manning, McIntyre, Pfeister/Pitching "Polar Bear," Schlei/Catching, Stephens (no name miscut), Street/Portrait, Street/Catching "Polar Bear," Tannehill/Chicago, Tannehill/Washington and Willis/Pitching "Polar Bear." Grades Poor to Good.